Scientists from New Zealand’s Plant & Food Research are working to protect the country’s borders from future incursions of Queensland fruit fly (Q-fly). The organisation has initiated several collaborative projects, aligned to the Better Border Biosecurity (B3) collaboration, including the identification of new chemical attractants that could be used to develop improved detection and control techniques. The move comes after a single male Q-fly was discovered in the Auckland suburb of Grey Lynn in mid-February. Since then, 14 adult flies have been located within a control zone set up around the initial discovery. 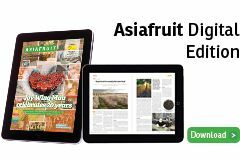 The isolated outbreak has had no impact on New Zealand’s reputation as a fruit-fly free producer, with Plant & Food Research and MPI determined to preserve this status. As part of the new research programme, Plant & Food Research will be importing sterile Q-fly from Australia, under approval from the Ministry for Primary Industries and the Environmental Protection Authority. “Holding a population of Q-fly in containment will allow us to determine more about the biology of the insect and develop new trapping and control methods to support New Zealand’s surveillance and defence efforts,” Suckling explained. Plant & Food Research is also supporting projects aimed at controlling Q-fly populations in areas of eastern Australia. 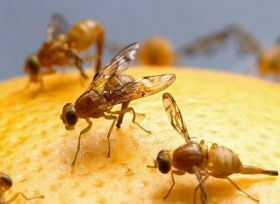 The research body is a member of SITplus, a A$22m consortium developing new technologies to control Q-fly. The consortium’s members include leading Australian universities, government departments and grower-owned body Horticulture Innovation Australia.